There are a surprising number of stories from antiquity about people who fall in love with statues or paintings, and about lovers who use such visual representations as substitutes for an absent beloved. 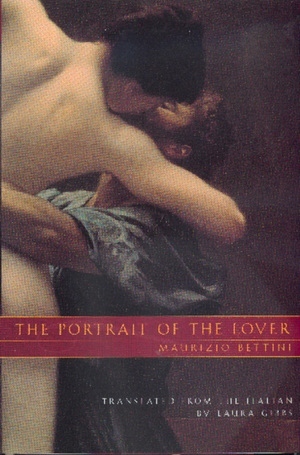 In a charmingly conversational, witty meditation on this literary theme, Maurizio Bettini moves into a wide-ranging consideration of the relationship between self and image, the nature of love in the ancient world, the role of representation in culture, and more. Drawing on historical events and cultural practices as well as literary works, The Portrait of the Lover is a lucid excursion into the anthropology of the image. The majority of the stories and poems Bettini examines come from Greek and Roman classical antiquity, but he reaches as far as Petrarch, Da Ponte, and Poe. The stories themselves—ranging from the impassioned to the bizarre, and from the sublime to the hilarious—serve as touchstones for Bettini's evocative explorations of the role of representation in literature and in culture. Although he begins with a consideration of lovers' portraits, Bettini soon broadens his concerns to include the role of shadows, dreams, commemorative statues, statues brought to life, and vengeful statues—in short, an entire range of images that take on a life of their own. The chapters shift skillfully from one theme to another, touching on the nature of desire, loss, memory, and death. Bettini brings to the discussion of these tales not only a broad learning about cultures but also a delighted sense of wonder and admiration for the evocative power and endless variety of the stories themselves. Maurizio Bettini is Professor of Greek and Latin Philology at the University of Siena, Italy, and the author of Anthropology and Roman Culture: Kinship, Time, Images of the Soul (1991), among other works.